You are never too late to get ready for zombie apocalypse. With all The walking dead TV series and Zombie apocalypse movie, you wished you can have some gears to get ready for Zombie fever. 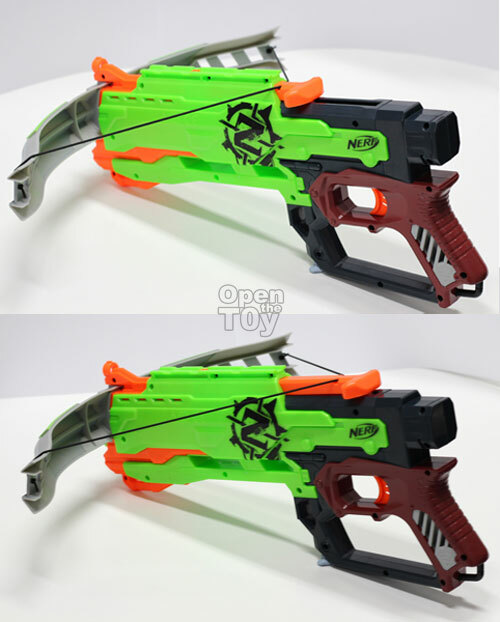 And Nerf from Hasbro did! 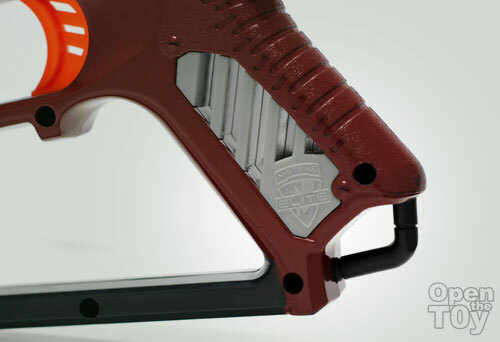 They have a whole range of Zombie strike series of blasters and one of my favorite is Crossfire bow! Eat this!! 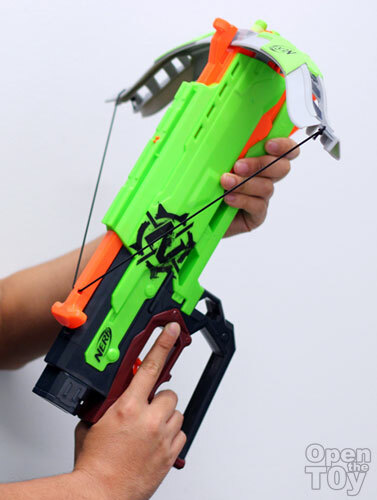 The whole design of this blaster was to give an impression of a crossbow although the main design was still a Blaster and it can work without the crossbow limb and strings. But it was exactly because the design was like a crossbow that make me loving this Blaster. 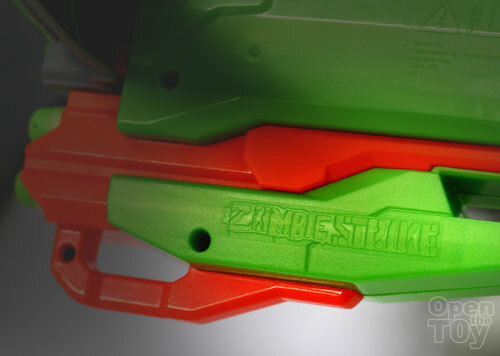 The wording of Zombie Strike is engrave in the grip at the front of the barrel. The color of striking Green and Orange make it look more lively. 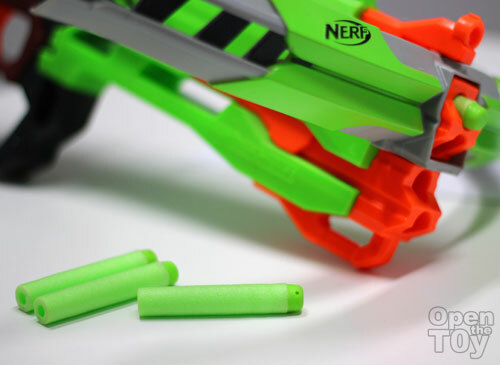 This is a Elite series which mean the design of the dart and mechanism can shoot further than the older series and it did! It comes with 4 darts that can produce sound when it is in the air. You just need to load the four darts in the front barrel. All you need to do then is to pull the orange handle on the top to load. All you have to do then is to take aim. I have to say the aiming sight was pretty accurate. 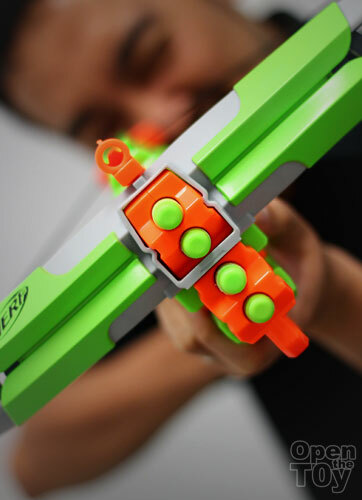 In my first hands on, I was wondering would this blaster shoot all 4 darts out or one by one. Since it can load all four in the front, chances are it would shoot all the darts out. I was wrong after I fire my first dart. Only one dart flew out at a time. That's neat! With each dart shot, I have to aim a bit higher as the sequence of each dart flew was top to bottom. Some may say the disadvantage of this blaster was slow and limited loading for actual gaming. Maybe you are right but the range dart shot was pretty accurate and easily flew more than 50 feet. Plus the design is unique and authentic. 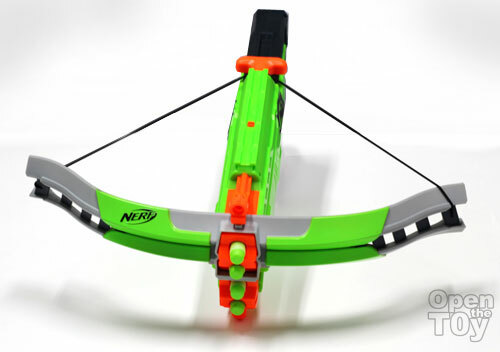 It's a crossbow!! 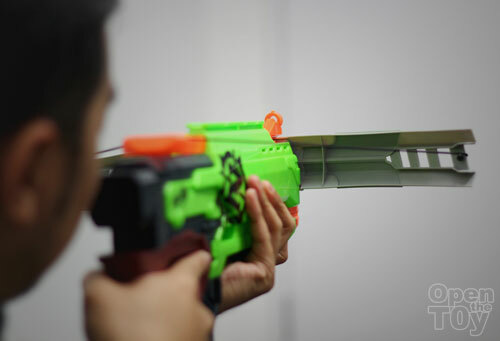 I have good fun with this blaster by shooting stationary target like those fun fair. Even my child love to play this as it look cool. Do you like this Crossfire? 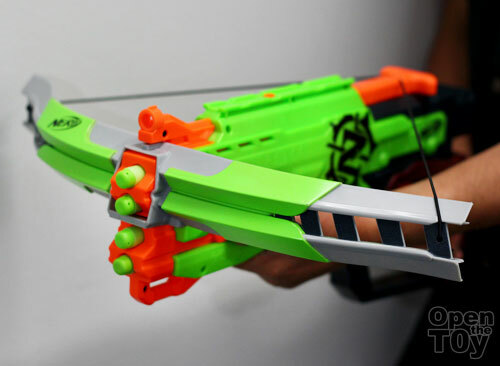 Update: This Crossfire Bow should be arriving to Singapore retail in March. Nice..join Rick to kill the walking dead..haha!! Yes Desmond. That's a thought. Want to join me?